The dairy foods industry is overflowing with entrepreneurs, which is a beautiful thing. 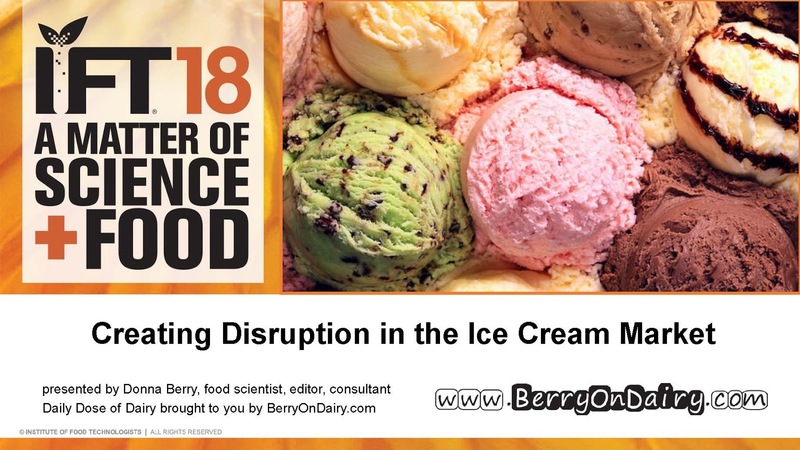 Innovative product development and healthy competition keeps the dairy case exciting and consumers interested in all things dairy. I was asked numerous times at the Summer Fancy Food Show about co-packers, and it seems in the past month, calls and emails on this topic have been significantly up. It seems like a good time to discuss the variables to consider when shopping for a co-packer. The most obvious reason is that this option reduces capital investment and assists with cash flow, freeing up dollars for marketing efforts to build brand awareness. Co-packers are also experts at what they do. This frees up man power and brain time, reducing energy spent on learning the process and troubleshooting common production issues. Before you begin interviewing potential co-packer partners, it is paramount that you identify those criteria that are non-negotiable and those where there’s flexibility. Keep in mind, co-packers vary in capabilities. Decide if you want to source ingredients and packaging, or if you prefer the co-packer do this for possible bulk pricing benefits. LaVitola spoke at the Chicagoland Food and Beverage Network Innovation Breakfast on July 12th at Fifty Gazelles. Foxtrot caters to the urban Millennial who wants quality and convenience. Foxtrot is the next-generation corner store, curating Chicago’s best craft beer, wine, spirits, fresh eats, gifts and everyday essentials, all available for delivery. Hint, hint, while in Chicago for IFT this week, if you have a craving, you know who to call! Link HERE to order ice cream. Visit Ingredia at Booth S704 in Chicago’s McCormick Place. The dairy industry needs to make sure that dairy products are being served—or delivered--for dessert. Guess what else the Specialty Food Association’s report says about Millennials? They want high-protein snacks. 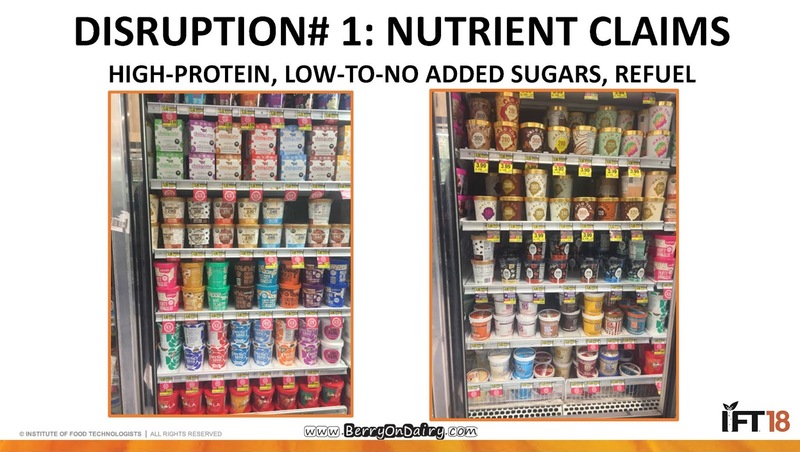 This explains their obsession with high-protein products such as Halo Top. Yes, it’s available for delivery from Foxtrot. The entire Foxtrot delivery concept really provides insights into what Millennials want, when they want it. I encourage you to check it out HERE. 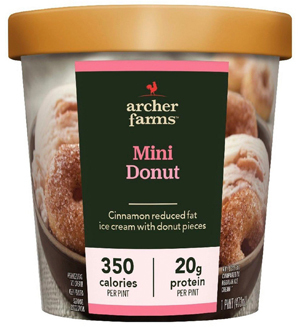 Dairy desserts cater to the impulse for indulgence, such that even nutrition and weight-conscious consumers find themselves craving rich and creamy desserts, according to a recent report on the topic from Market Research Future. The term dairy desserts encompasses a wide range of products, all with milk—and often cream—a dominant ingredient. This includes ice cream, indulgent yogurts, custard, sherbet, pudding and more. Though they are not considered a primary source of nutrition, these products do provide protein, vitamins and minerals, giving them an edge over other sweet treats such as confections and baked goods. 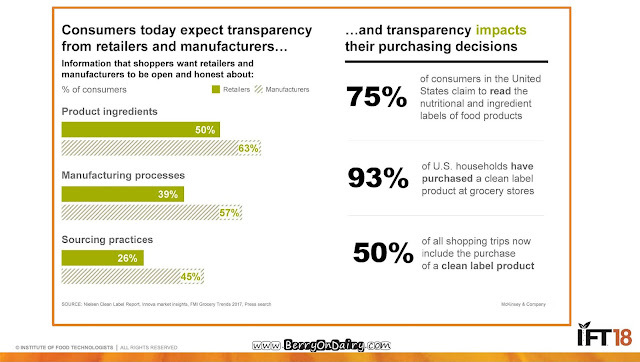 They also contain milkfat, something today’s consumers appear to be welcoming with open arms. And guess what? Science says they are onto something. New research by The University of Texas Health Science Center at Houston (UTHealth), published July 11, 2018, in the American Journal of Clinical Nutrition, found no significant link between dairy fats and cause of death or, more specifically, heart disease and stroke--two of the country’s biggest killers often associated with a diet high in saturated fat. 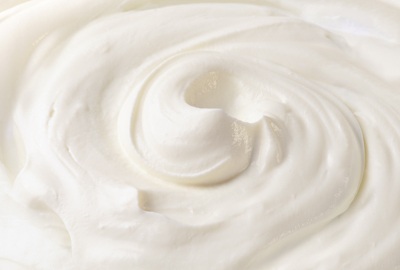 In fact, certain types of dairy fat may help guard against having a severe stroke, the researchers reported. The 2015-2020 Dietary Guidelines for Americans currently recommend serving fat-free or low-fat dairy, including milk, cheese, yogurt and/or fortified soy beverages. But Otto pointed out that low-fat dairy foods such as low-fat yogurt and chocolate milk often include high amounts of added sugars, which may lead to poor cardiovascular and metabolic health. To read more on the study, link HERE. Rolling out into the marketplace is new oui by Yoplait oui Petites. These dessert-inspired yogurts come in Caramelized Apple, Chocolate with Shavings and Sea Salt Caramel flavors. They are packaged in 3.5-ounce glass jars and sold in packs of two. They are whole milk yogurts featuring a simple recipe that is slightly sweetened with cane sugar. Each serving is individually cultured in the same glass pot you eat it from using a traditional pot set process. Looks like dairy desserts make sense all the way around. Number-one, they are delicious. Second, they provide important nutrients, namely protein and calcium. Third, those high-fat ones, might be doing the body great. On that note, it’s National Ice Cream Month, and Sunday—July 15—is National Ice Cream Day. Here’s a story about ice cream innovation that speaks to Millennials. 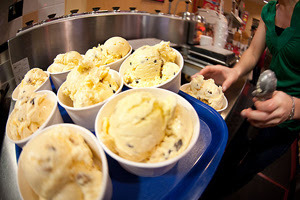 Minneapolis-based Izzy’s Ice Cream, which is owned by husband and wife couple Jeff Sommers and Lara Hammel, is a Twin Cities ice cream shop serving superpremium ice cream handmade from Midwest cream. Izzy’s has more than 150 rotating flavors and is famous for the Izzy Scoop, an extra small scoop on top of every single or double. This is a great way to try something new and always get a little something extra. 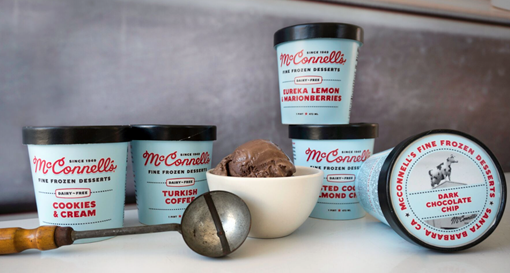 Izzy’s teamed up with Periscope, a national creative agency to assist with the development of a flavor for National Ice Cream Day. New Love Potion No. 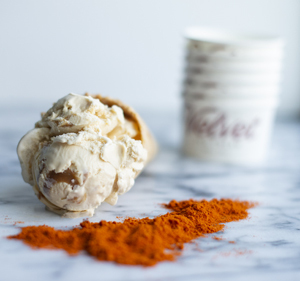 921 is a blood orange and pomegranate ice cream with a hint of ginger, making it a refreshing treat for the summer. Every ingredient was hand-selected by Periscope employees to reflect the agency’s brand colors and embody its mission to “Do Things People Love,” a motto to infuse passion and empathy into all work from the company. It’s a motto we could all probably benefit from these days. Love Potion No. 921 is a feel-good dairy dessert. Pomegranate’s love story began thousands of years ago, and it has been considered a symbol of love by many cultures and countries. Ginger is also a symbol of love, as its scent and spice have the ability to inspire passion. Blood orange just screams passion. It also reflects Periscope’s new brand colors of pink and orange, as well as the blood and heart put into the agency’s work. The 921 is a nod to the agency’s address. innovations. 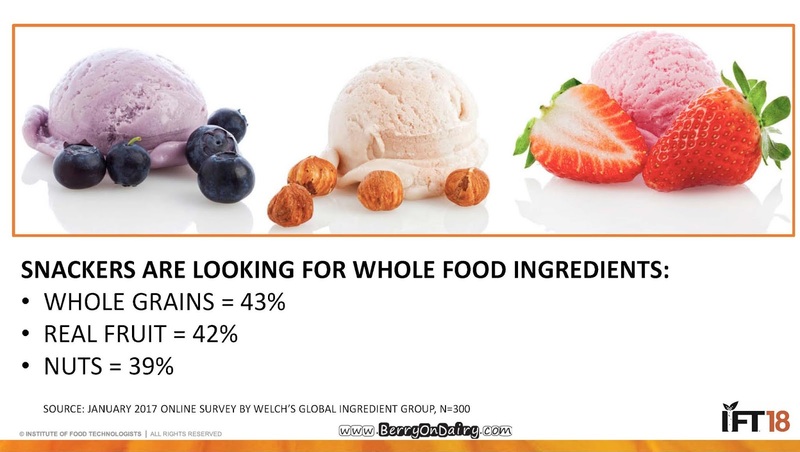 A variety of functional ingredients will also be discussed, from stabilization to new technologies in reducing added sugars to protein and fruit and vegetable sources. Manufacturing experts will also discuss formulation and processing challenges. In less than 10 days, many of you will be in Chicago—my home town—to attend IFT18, the annual meeting and food expo of the Institute of Food Technologists. Experience the newest products, latest trends and cutting-edge innovations when you immerse in the industry’s largest collection of food ingredient suppliers, along with food safety/quality, technology, equipment, processing and packaging suppliers. It is here where you will get a taste of what is next in the science of food. A dominant theme at IFT18 will be formulating foods for healthy living, a platform that dairy foods plays right into thanks to milk’s nutrient dense composition. 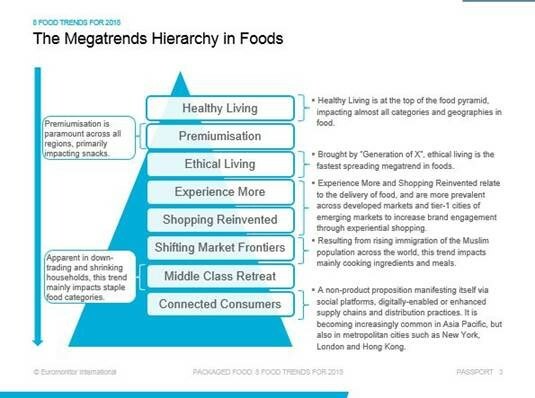 Healthy living is also a packaged food megatrend for 2018, as identified by Euromonitor International. The food industry continues to shift its focus from weight management to nutrition and natural wellbeing, which is why the healthy living trend is broken down into two sub-trends: back to nature and naturally functional. The industry has seen a rise in “back to nature” with a plethora of raw foods and minimally processed foods. Grass-fed dairy also plays into this space as the original plant-based milk. And, with sugar the new villain, processors are exploring ingredients and technologies to reduce or eliminate added sugars in sweetened dairy foods, including flavored milk, ice cream and yogurt. The “naturally functional” sub-trend focuses on gut health, which has links with mental health and performance. 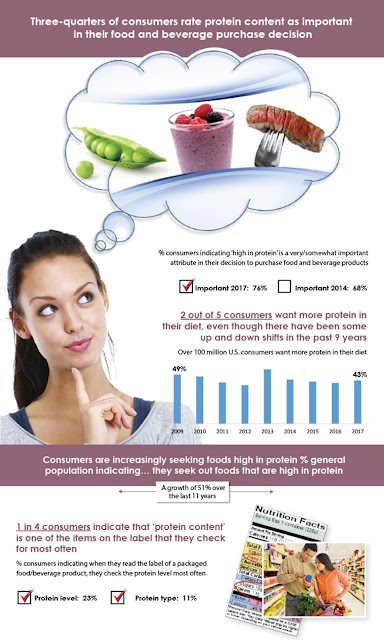 The rise in this trend concentrates on fermented foods, probiotics, ancient grains and healthy fats. 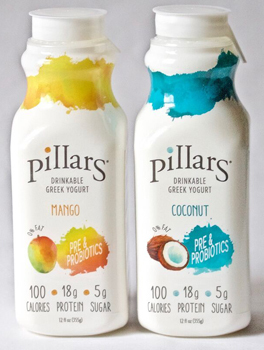 A product that fits the healthy living megatrend is Pillars drinkable Greek yogurt. With no added sugar, only 100 calories and a whopping 18 grams of protein per serving, Pillars is made with milk sourced from grass-fed cows and has a Nutrition Facts panel you can’t beat. A 12-ounce bottle contains only 5 grams of naturally occurring sugar (lactose) in each bottle and is loaded with probiotics and prebiotic fiber. Pillars is all-natural, non-GMO and contains nothing artificial. The company just added two new flavors—coconut and mango—to the lineup. Bonin, disappointed by a market filled with products that were loaded with sugar and other unnecessary ingredients, wanted something better and, as a result, founded Pillars Yogurt. After spending years sourcing the best ingredients and perfecting the recipe, grocery stores can now offer a product that not only tastes great but is also good for you. It’s a drinkable yogurt for healthy living. 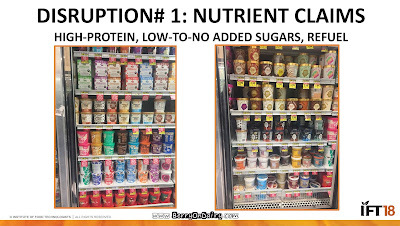 And drinks is where the action is in the yogurt category. 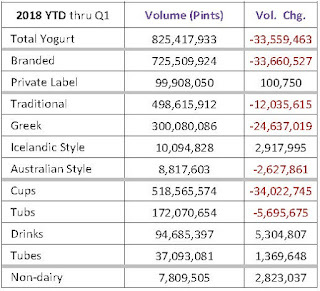 U.S. yogurt retail volume sales were down 3.9% in the first quarter of 2018, according to data from IRI provided to Dairy Management Inc., and courtesy of the Midwest Dairy Association (see table). This rate of decline, however, is more moderate than that observed in full year 2017, which was 4.8%. 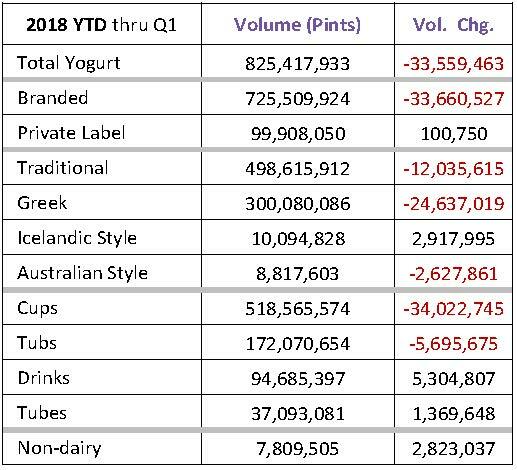 Yogurt volume began its decline mid-year 2016. This decline was observed quite broadly across regions, channels and segments of yogurt. There were a few yogurt segments that provided bright spots in the first three months of the year. Drinkables was one of them. Convenience was a likely driver for continued growth in yogurt drinks (+5.9%) and tubes (3.8%). 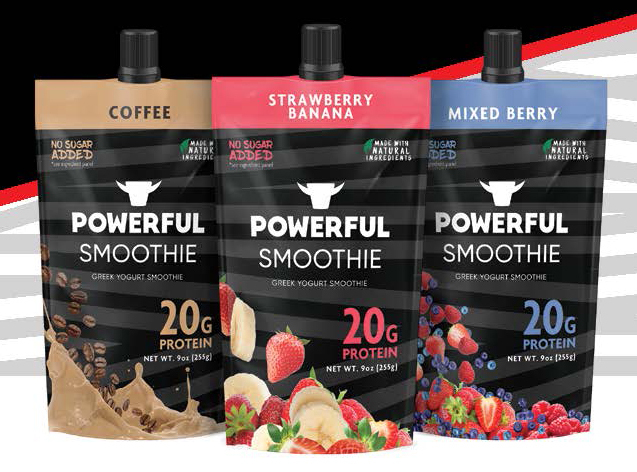 Powerful, a four-year-old brand credited with launching the brogurt category (manly yogurt), is growing its business with Greek yogurt-based high-protein smoothie pouches. The refrigerated pouch product has a resealable cap and targets consumers looking for a nutritious, satiating, grab-and-go snack. With no added sugar and made with only natural ingredients, including 2% milk, each pouch contains 170 to 180 calories, 4 grams of fat and 11 to 12 grams of inherent sugar, depending on variety. The fruit base includes chicory inulin, erythritol and stevia, which enables a no-added-sugar claim. The line is making its debut in Coffee, Mixed Berry and Strawberry Banana varieties. Unopened pouches have a 45-day refrigerated shelf life. 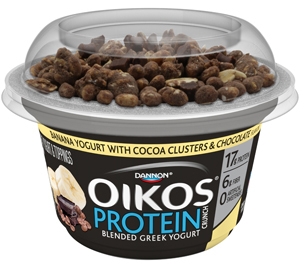 Dannon Oikos Protein Crunch pairs Greek nonfat yogurt with crunchy mix-ins to deliver 17 grams of protein and 6 grams of fiber with no artificial sweeteners per 5-ounce cup. The four varieties are: Banana with Cocoa Clusters & Chocolate; Coconut with Whole Grain Oats & Almonds; Vanilla with Blueberry Rolled Oats; and Vanilla with Chocolate Oats & Peanuts. Chicory root fiber is the source of fiber and helps keep sugars at 8 grams. Stevia leaf extract also assists with sweetness. That brings me to the recent ruling on fiber ingredients, which are ready and able to assist with reducing sugar in dairy foods, while boosting intake of fiber, a nutrient of concern. The eight recently approved fibers fit the second definition. The petitions, and supporting research, clearly showed that the fibers support physiological health benefits as assessed by FDA’s strict criteria, such as lowering blood glucose and cholesterol levels; lowering blood pressure; increase in frequency of bowel movements (improved laxation); increased mineral absorption in the intestinal tract; and reduced energy intake (for example, due to the fiber promoting a feeling of fullness).